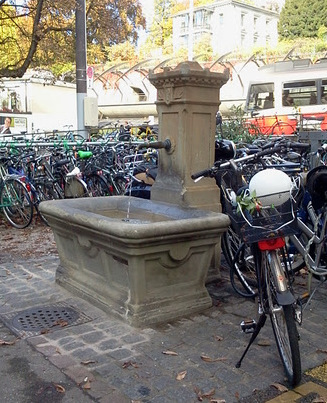 The one in at the beginning of Mühlebachstrasse, right next to Stadelhofen train station. Stadelhofen is busy transport node, serving those who live on the right side of Lake Zurich, also known as the Gold Coast. Stadelhofen is also known for being the first international commission of Spanish architect Santiago Calatrava.